In Baner, Cosmos Organic houses only organic products. Whether you’re shopping for food or make up, this supermarket has everything that’s organic. We found a range of DIY facial kits, natural soaps, organic lipsticks, lotions and creams that were natural among many other things. The idea of the store is to target that void of truly natural products. As the trend and need to consume organic foods increases, this store is stocking up on a range that’s quite impressive. We found everything from organic clay pots and pans, clay tea light holders. There’re also a range of food products in a dedicated section. 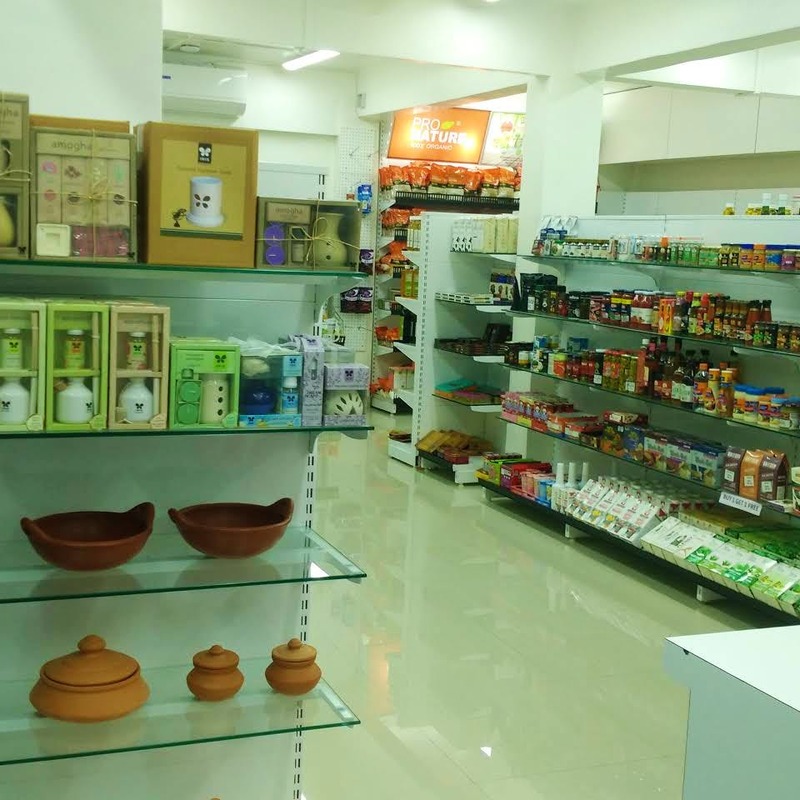 There’s a whole section of Pronature Organic, a brand that offers products like honey, organic grains, flours, millets, sweetners, spices and a lot more. The brand’s products are said to be made without chemicals. Makeup too is available from a range of ayurvedic and other international beauty brands. You’ll find brands you’ve rarely heard of to the likes of Chambor, Shainaz Hussain among others. The store sells most products on the market price. And, if you’re living a non-toxic, organic lifestyle then this is an apt spot to get everything under one roof. We’d love to see more outlets of this store soon. If you’re looking for affordable organic items, this is a good place to drop by at.